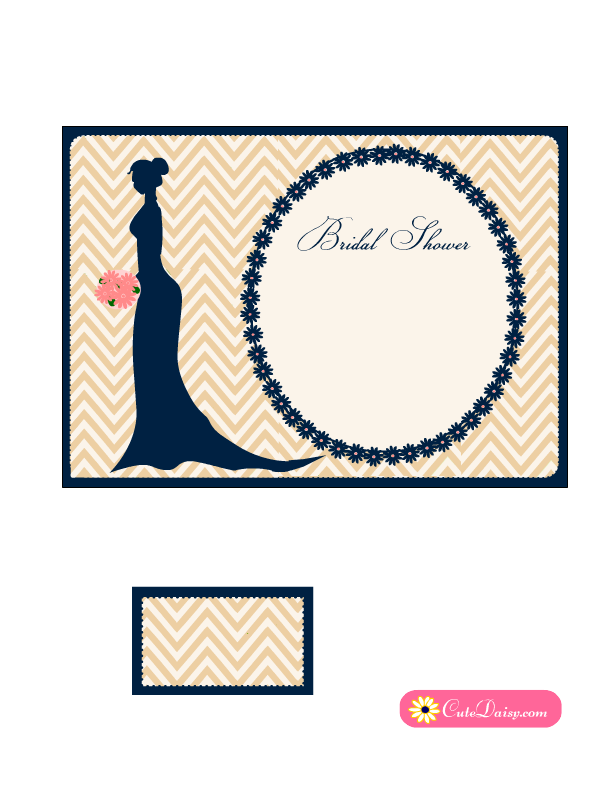 Today I made these Free Printable Elegant Bridal Shower Invitation Templates featuring a bride silhouette and flowers against a chevron background. These are PDF templates so you can easily fill up your own text in these. I have made these elegant invitations in 3 different color combinations and you can write your own text on these before taking print outs. 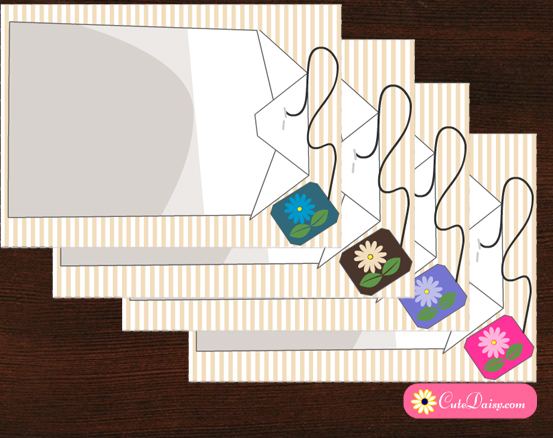 I have also made a matching address label with each invitation that you can paste on the envelope to make it match your invitation. 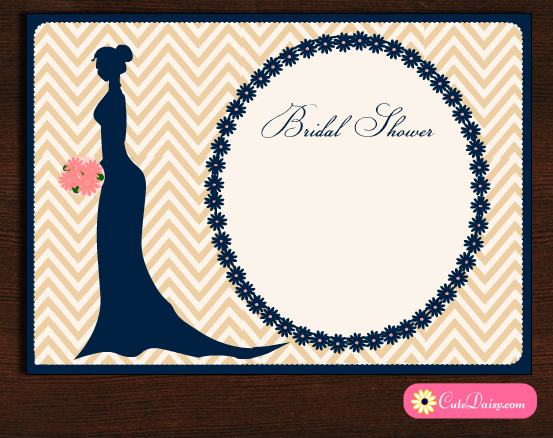 This is an adorable and very elegant bridal shower invitation template in Blue and Fawn colors. A lovely bride’s silhouette is holding beautiful flowers. Click here to download the PDF file. 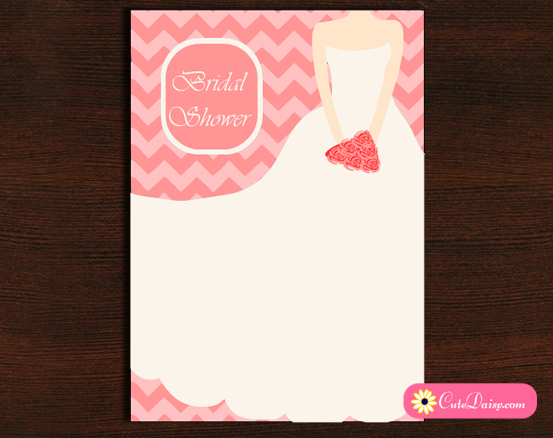 This is another color variation of this very elegant bridal shower invitation. Click here to download the PDF file. 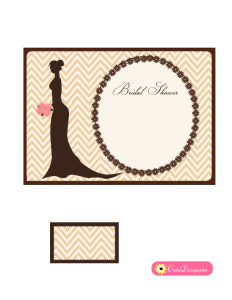 Click here to download this very beautiful and elegant bridal shower invitation in brown color. All the art work used in these invitations is created by me and you have no right to sell or distribute my work in digital or printed form. 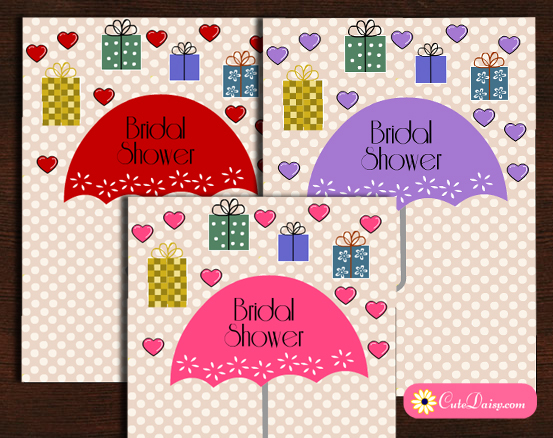 All this work is free only for personal use and you can use these invitations to invite as many guests as you may like on your bridal shower party.